This enhanced edition, with full colour design, provides students and clinicians with a systematic approach to performing a neuromusculoskeletal assessment and reasons for the various aspects of the assessment. 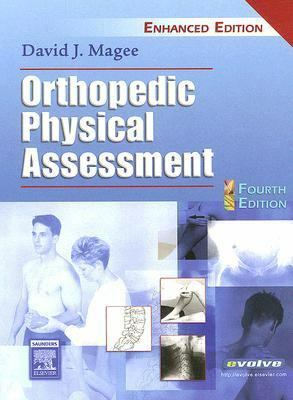 Every joint in the body is covered as well as chapters on specific areas.Magee, David J. is the author of 'Orthopedic Physical Assessment ', published 2005 under ISBN 9781416031093 and ISBN 141603109X. Loading marketplace prices 8 copies from $1.99 How does the rental process work?